The machine can be used in fried dry fruit,puffed food,meat ,such as rice crisp,sweet stick rice strips,peanut,broad beans and squid,fried chicken and etc,the most ideal equipment for making fried food. The machine uses various forms of combustion systems to meet the production needs of different environments.Automatic control of the oil temperature time of feeding,automatic mixing and other functions for dough-fried candy,rice-frozen candy,and puffed food etc. 1.Adopt low power large -caliber ejector burners combination with large diameter of heat exchange tube,making frying oil unit heat exchange area themal power tranmission less than 3 w/square meter,extend the oil service life. 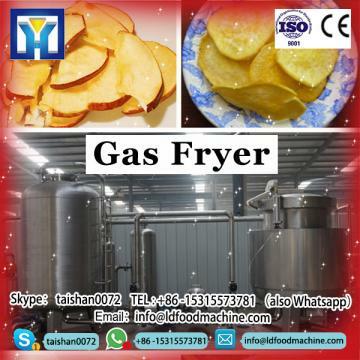 2.Use dip tube heating mode,heat uniform,solve the local peroxide phenimenon,making the frying colour bright,effectively improve the food quality. 3.The pot bottom clean residue scour,frying oil forced circulation filter system,celan frying oil of pot bottom effectively and vent from pot body fried area. Adopt low power large -caliber ejector burners combination with large diameter of heat exchange tube,making frying oil unit heat exchange area themal power tranmission less than 3 w/square meter,extend the oil service life. Use dip tube heating mode,heat uniform,solve the local peroxide phenimenon,making the frying colour bright,effectively improve the food quality. The oil temperature is controled automatically. The pot bottom clean residue scour,frying oil forced circulation filter system,celan frying oil of pot bottom effectively and vent from pot body fried area. Energy-Saving Stainless Steel filter deep fryer have thermostatic temperature control in the temperature range. A safety thermostat and drainage tap to make it easier to clean the machine.Gas fryer:Cast iron burners.Automatic burner ignition by means of an electromagnetic valve,with pilot light and thermocouple. We are a professional western kitchen facility company which mainly specialize in Gas fryer,and we also agent many famous brand kitchen facilities, tableware and other hotel equipment, and all our products selling with wholesale price. our Energy-Saving Stainless Steel filter deep fryer including western kitchen equipment series and refrigeration series, for instance,Gas fryer ice maker, ice cream machine, dish washer, popcorn machine , coffee machine, fruit juicer , oven, buffet stove, display warmer,and so on.